Released late last year in the Nintendo eShop, Minecraft: Wii U Edition is available in a special retail edition. 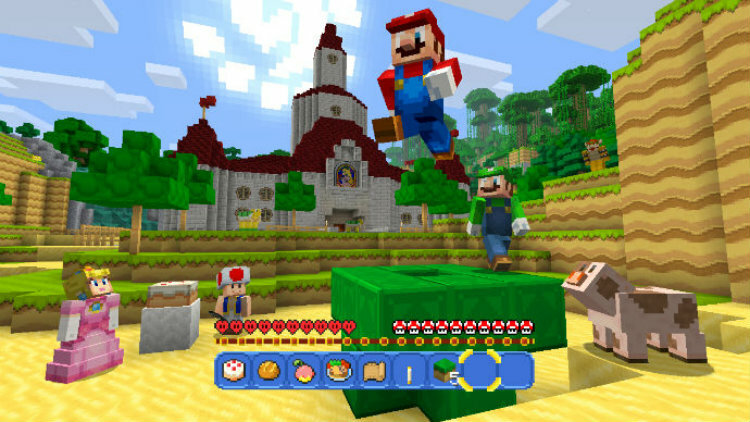 This package includes the Wii U version of Minecraft, a sandbox building game beloved by millions around the world, plus the all-new Super Mario Mash-Up Pack. My review at Best Buy Canada's Plug-in Blog.